I'm a big fan of putting a sugary twist on what would typically be a savory dish--ice cream tacos, strawberry pizzas, chocolate salami, you get the picture. 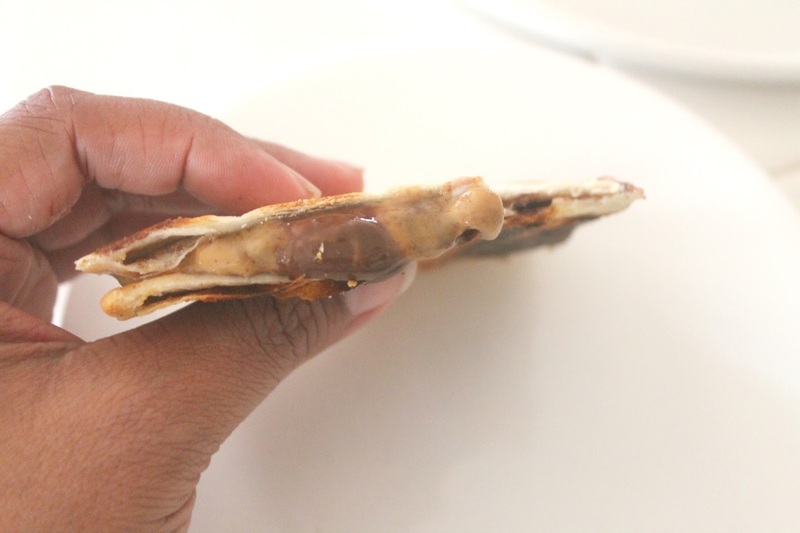 This past weekend I had this idea to make a sweet quesadilla using chocolate chips and almond butter. 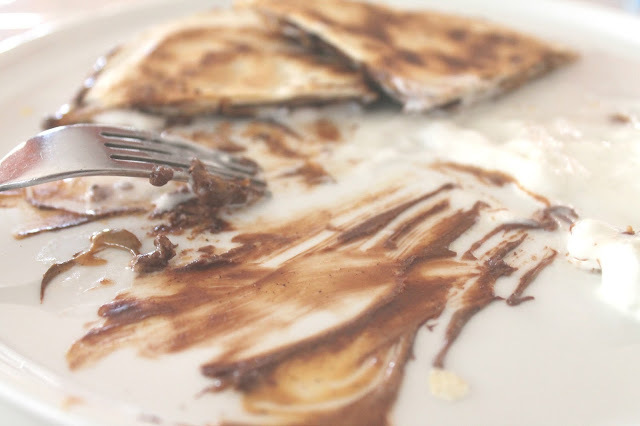 The result was a crispy, gooey, chocolatey, warm dessert that was honestly like nothing I'd ever tasted. A hint of cinnamon added a warm spiciness, and a dollop of whipped cream helped to cut the richness. You can use a knife and fork to eat this, but trust me, it's definitely more fun to use your hands and lick all the melted chocolate and almond butter from your fingers. Spread one side of each tortilla with butter. Combine cinnamon and sugar and sprinkle on buttered sides of tortilla. Heat tortillas in a large skillet, cinnamon side up, until crispy, then remove from skillet. Spread almond butter on the cinnamon side of one tortilla, then sprinkle the chocolate chips over it. Cover with the other tortilla, with the crisped side on the outside. 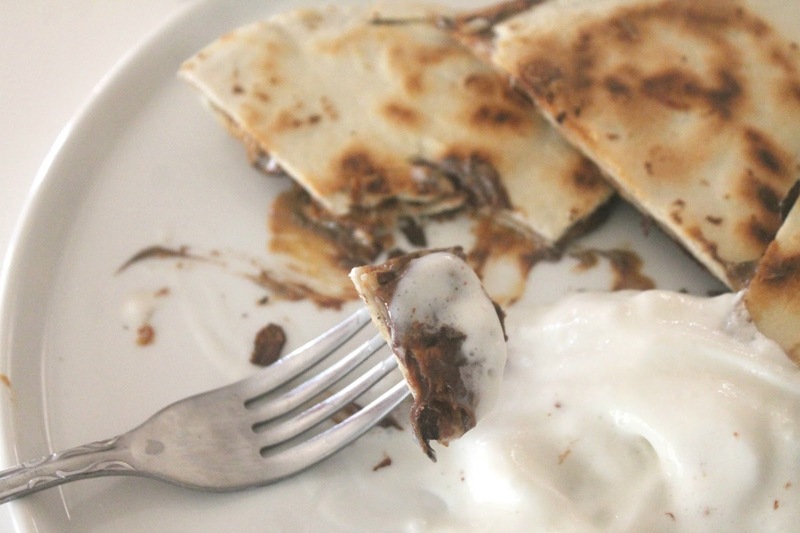 Return the quesadilla to the skillet and warm until chocolate is melted. 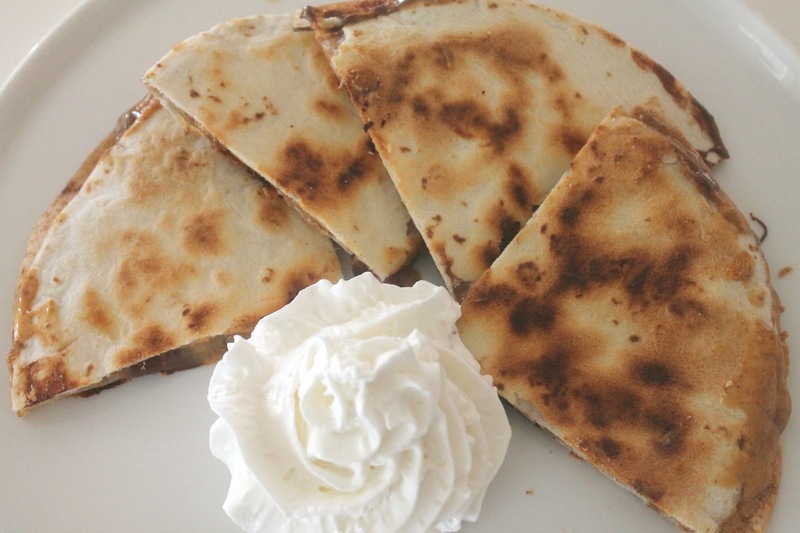 Cut into triangles and serve with whipped cream. Oh yeah buddy! That looks mighty tasty :-) and fun to eat!